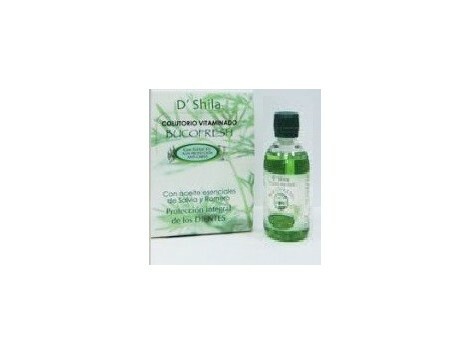 D'Shila Bucofresh Sage and Rosemary Mouthwash (5% Xylitol) 500ml. Special teeth. No artificial flavors. Contains a 5% concentration of Xylitol. Hardens enamel, reduces hypersensitivity promotes remineralization, anti-caries, fights bad breath, reduce plaque and tartar buildup. It calms the feeling of dry mouth.